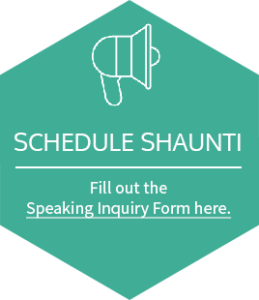 Home > Articles > Big Announcement from Shaunti: Pre-order Her New Book! Big Announcement from Shaunti: Pre-order Her New Book! 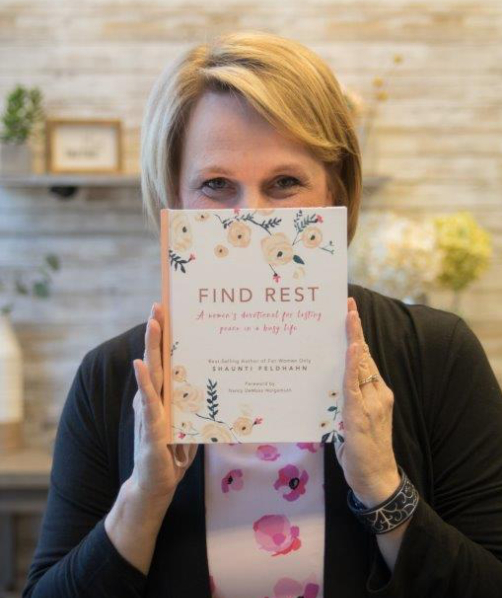 I’m releasing a new devotional book for women: Find Rest: A Women’s Devotional for Lasting Peace in a Busy Life! Because it’s true . . . Jesus promises us we can indeed find the rest that all of us busy women need today! This new book is a 60-day devotional designed as a biblical journey to move us past our stress, worry, and anxiety to find true rest – even in the middle of a very busy life! Many books tell us to “slow way down,” “take time off,” and so on – which is a great solution for a short time but not realistic for a lifetime. So let this sink in: Jesus promises us rest while we are busy! Seriously, take a look at Matthew 11:28-30. (“Take my yoke upon you . . . and you will find rest for your souls.”) A yoke is fastened onto a horse or oxen so they can plow the field in the heat of the day! Jesus doesn’t say “Take off the yoke and head back to the barn” to find rest. No, the promise is that we can find rest for our souls – we can feel that sense of peace, and rightness, and a light burden – while we are in the middle of our normal lives. And since this is a completely new type of book for me, can I shamelessly ask for your help? If you’re interested (and think others will be interested) can you go online to Amazon and buy the book NOW (for yourself or for the busy women in your life) before it even releases? In the book world today, pre-sales send a clear message just like first-weekend box-office ticket sales for movies. If Amazon sees strong interest they (and other booksellers) will order a LOT more copies, push it more, and create a great cycle. And I want to THANK YOU in some tangible ways for helping me by ordering the book BEFORE it releases! The artwork in this book is nothing short of stunning and I’m so happy to be sharing the gift of gorgeous mobile wallpaper, a free printable of the Elements of Rest and a beautiful printable bookmark. Whether you’re a stay-at-home mom, a busy executive, a student, or an empty nester, I know your normal lives are indeed busy. Racing from here to there, taking care of family members and homework and board meetings, juggling responsibilities and priorities—starring in your very own circus act with all that flexibility! But all that busyness doesn’t have to come at the price of exhaustion, stress, and worry. In Find Rest, you’ll see how Jesus promises us real rest on this crazy, wonderful journey called life. Ladies, this life journey can be busy and exhausting. But let’s find rest, and freedom from stress and worry, together. It’s there for the taking—God’s word says so. PS. Click here to pre-order Find Rest and get the incentives! It’s not too late! Just fill out the form at findrestbook.com and you’ll get the incentives. Where you able to get the form to submit? I tried it in Firefox and the submit button just kept spinning. I also tried in Chrome, and got it to say “Thank you” instead of submit, but then I didn’t get any email (and I also checked the spam folder) with the bonus items.